If you are one of the users who are facing problem within your iOS device from jailbreaking, un-jailbreaking, update from an expired beta, or need a quick solution when nothing else is working then the best solution is to enter your iPhone or iPad or iPod Touch into DFU mode that can be your last hope.. In this post we'll tell you how to enter DFU mode in iPhone - iPad - iPod Touch. What is DFU Mode ? 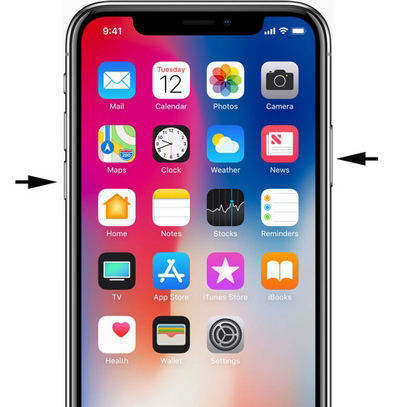 DFU mode refers to (Device Firmware Update) and as Apple explained it is the state that you can put your iPhone into where it can interface with iTunes, but does not load the iPhone operating system or boot loader (this is what really differs DFU mode from the more simple recovery mode). What is DFU Mode used for ? The basic or main use of the DFU mode is to update or change the firmware and iOS on the device, either out of troubleshooting requirements, or personal preference. This can serve to restore a bricked iPhone where updating iOS has failed and the phone is seemingly broken, but it can also be used sometimes to downgrade to a prior iPhone firmware and operating system. In some unique situations, it can also be used to install custom firmware that is required for a jailbreak or SIM unlock. Now and as you know almost everything about DFU mode and what it is used for and what the cases you need to use it, we're going through the guide about how to use it on your iOS device step-by-step. STEP 1: Connect your iPhone, iPad or iPod Touch to your computer or Mac using the USB cable and then open iTunes. STEP 2: Turn off your iPhone by simply holding the Power button until it is turned off. STEP 3: Now hold down both Sleep/power button and the home button for 10 seconds then quickly release the power button. STEP 4: Keep holding the home button until you see a message in iTunes telling you that an iPhone in recovery mode has been detected. STEP 5: When you are in DFU mode your iPhone screen will be completely black, but detected by iTunes. DFU mode in iPhone X is a bit different from the other devices because it doesn't contain home button so here's how to enter dfu mode on your iPhone X. STEP 1: Hold downthe Power button for 3 seconds, then press and hold the Volume Down button. STEP 2: Keep holding the two buttons for 10 seconds, release the Power button but continue holding the Volume down button until you see a message from iTunes saying iTunes has detected an iPhone in recovery mode. STEP 3: Release the Volume down button and you can see the screen of your device is totally black, that means you’ve entered iPhone X into DFU mode successfully. NOTE: DFU Mode means your iPhone is just showing a black screen, if you see an iTunes logo or any message then you are in (Recovery Mode). If anything else is the case, repeat the steps above until you enter into DFU mode successfully. Probably it may not work with you from the first time so don't worry, just keep trying for more than one time until it works with you. The simplest way to exit out of DFU mode is to hold down the Home and sleep/power buttons on the iPhone while connected to iTunes. Then just hit the power button as and this should reboot the device as usual. 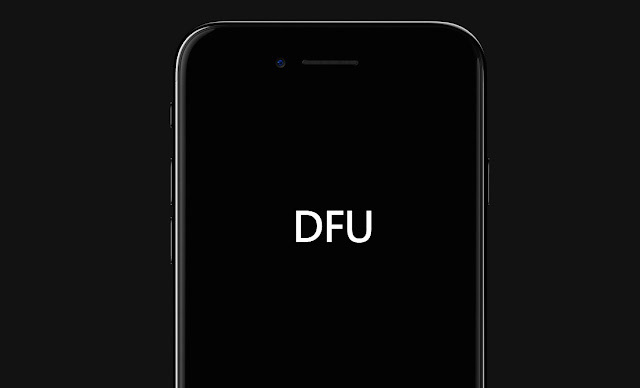 Now if you've any problem while doing the DFU mode on your iPhone X,8,8+ or any older iOS device please feel free to leave a comment below and we will answer you as soon as possible.